In 2017, Colorado had a dry, warm fall. But this fall’s early season storm is setting up the ski industry, which brings in about $4.8 billion annually, for something different. Meteorologists are predicting a moderate to weak El Nino winter, which historically has been good news for snow in Colorado. state have upgraded chairlifts. Chris Linsmeyer is the public affairs director for Colorado Ski Country USA, a trade organization which represents the industry. He says there are six new chair lifts at five major ski areas, including a gondola at Winter Park. There’s also a handful of new restaurants opening up. There are a few ways to get the most out of the season and not go broke, but the best way is to spend a little money up front according to Lindsmeyer. Both Vail Resort’s Epic Pass and Aspen’s Ikon Pass offer access to multiple mountains, and individual resorts offer their own packages. Lindsmeyer’s advice for those looking to save money is to search for bundles. If skiing or snowboarding isn’t your thing, there are other wintery activities to do in Colorado mountain resort communities, including ice skating, tubing and sledding on the slopes. 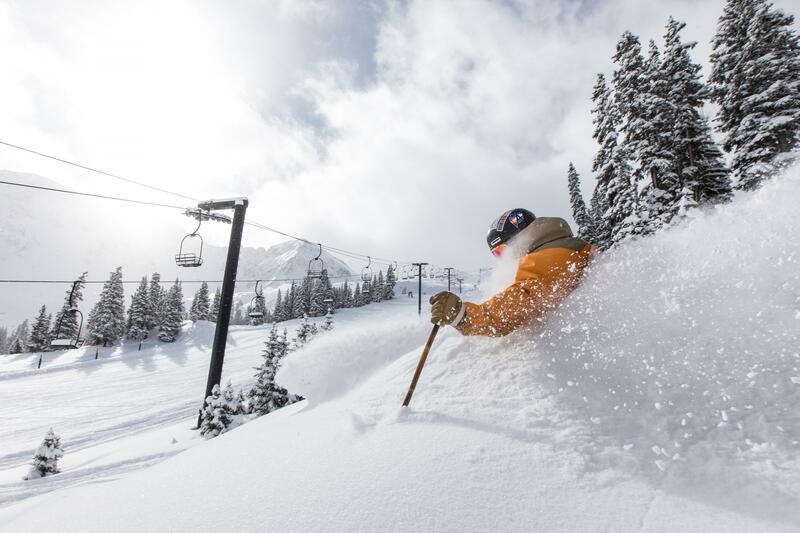 The resorts have continued to invest in summer activities as well, to offset costs when Colorado experiences a mild winter -- but if you do your snow dance, shouldn’t be the case this year. The big storm that blanketed Colorado with snow this week made for a rough commute for drivers. Now, it’s going to lure them to the mountains. And the timing of the storm wasn’t bad for Colorado’s ski country. It hit on a Wednesday afternoon, meaning that by the time the weekend hits, all that powdery, soft snow will be on the minds of skiers and snowboarders. And that’s good news for resort owners. Up to 20 inches fell on the resort mountains along the Interstate 70 corridor. Mountains elsewhere reported at least another 6 inches. Ski icon, filmmaker and author Warren Miller passed away Wednesday, Jan. 24 at his home in Orcas Island, Washington. Miller, a World War II veteran and prolific filmmaker, produced more than 500 films about skiing, surfing, sailing and other sports, and authored 11 books and about 1,200 columns. He was best known for his adventure ski films, which featured thrilling footage, all narrated in his own humorous style.